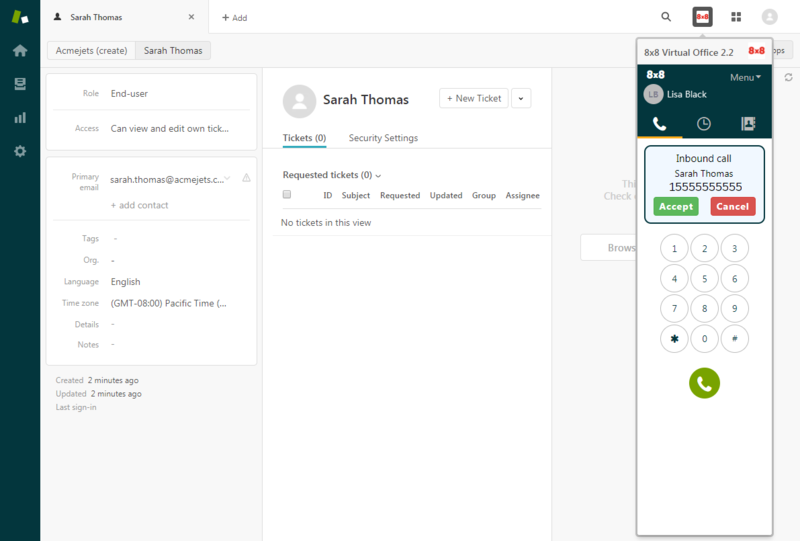 When you receive a call, the call control panel pops up to indicate an inbound call. Click to accept on the call control panel. With an inbound call, the matching contact record may be presented to you based on your screen pop settings.